Stocking stuffers for men can be quite difficult, especially because the small items can be expensive. I try to get creative but sometimes you just need a man's perspective to help. So I actually enlisted my husband to help me with this one, which is a double win, because now I have some ideas for his stocking as well. 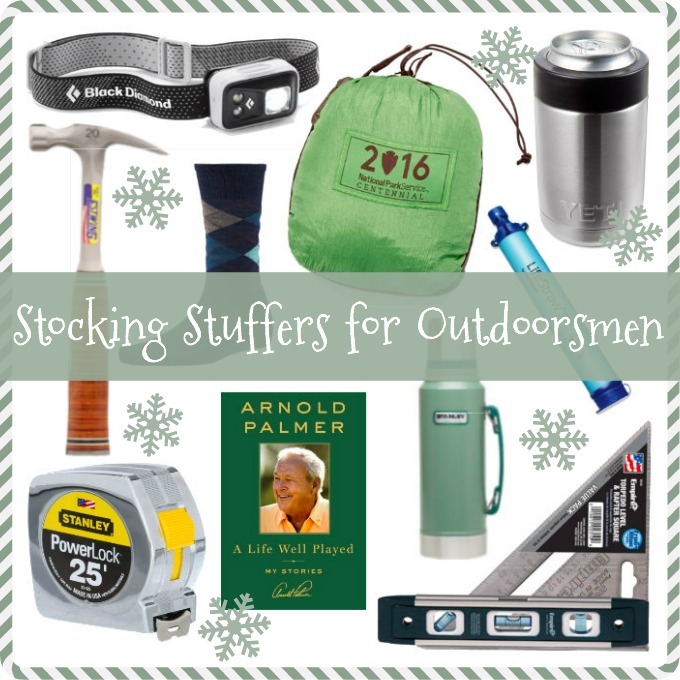 :) This is definitely for the outdoorsman and most items can be found at Home Depot and REI. These would always make great presents, not just socking stuffers. I hope this gives you some ideas. See my stocking stuffers for the women in your life, here. Disclaimer: we ALWAYS include candy in the stockings as well. Also, we usually add in Starbucks gift cards too!